Arthur James Wetherall Burgess was born in Bombala, New South Wales and studied art in Sydney before he came to England and then studied at St. Ives in Cornwall. His work was exhibited at the Royal Academy from 1904 and also at the Royal Institute of Oil painters, the Royal Institute of Painters in Watercolours and the Paris Salon. 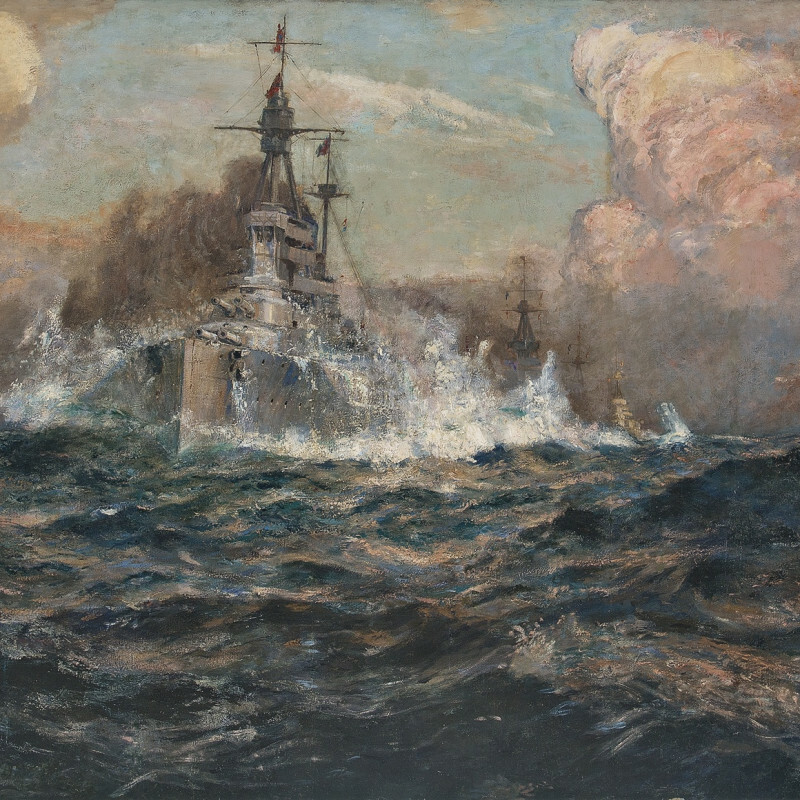 He worked as an illustrator for the Graphic, Illustrated London News, The Sphere and also for the Australian Government in the First World War. Wetherall Burgess was a founder member of the Society of Marine Artists and its Vice President.